Unique Fold Out Swim Platform Allows For Easy Access to the Water, or Folds Into the Stern For Security and to Extend the Aft Deck Space. Large Aft Owner’s Suite w/Private Head & Shower — PLUS — Private Forward Suite w/Head & Shower. 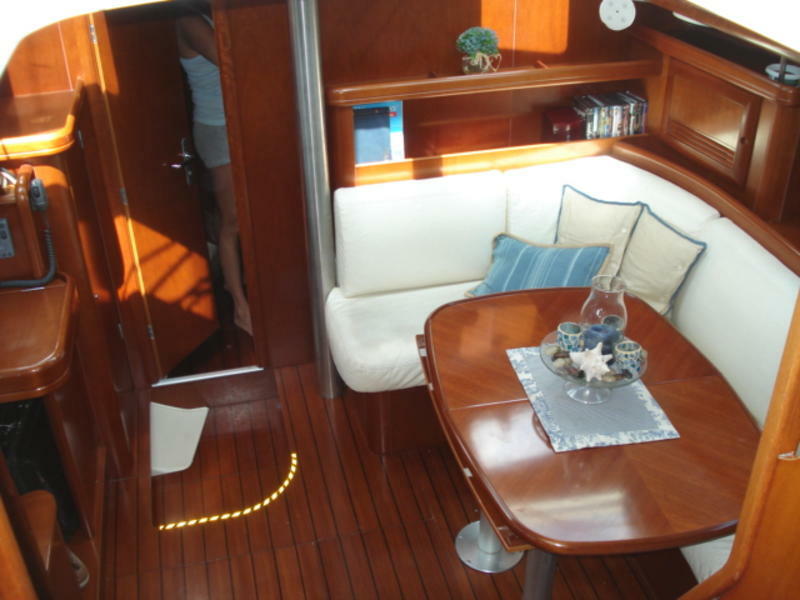 Easy Sailing w/All Lines Led Aft to Cockpit — Wide Walk Around Decks — Hard Dodger with Opening Forward Window. 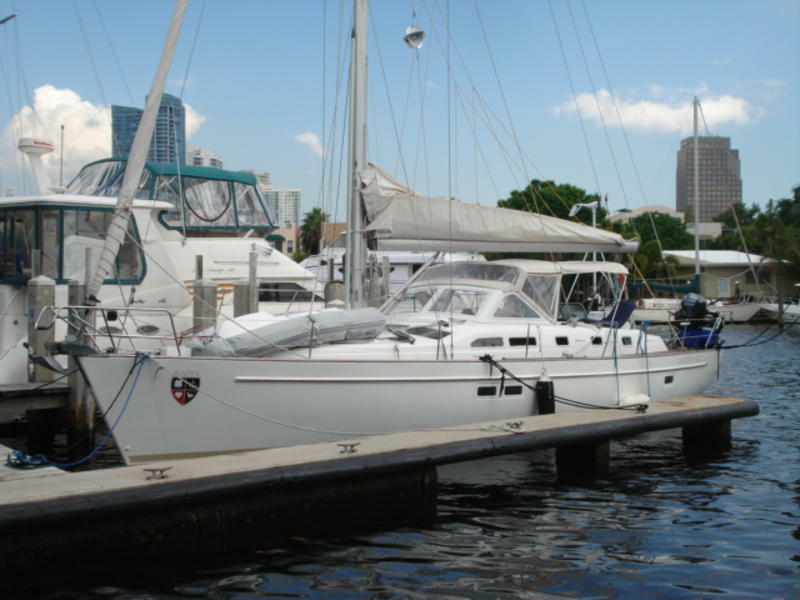 This vessel is a classy Blue Water passage maker that features numerous sailing innovations and comfort at an affordable price. 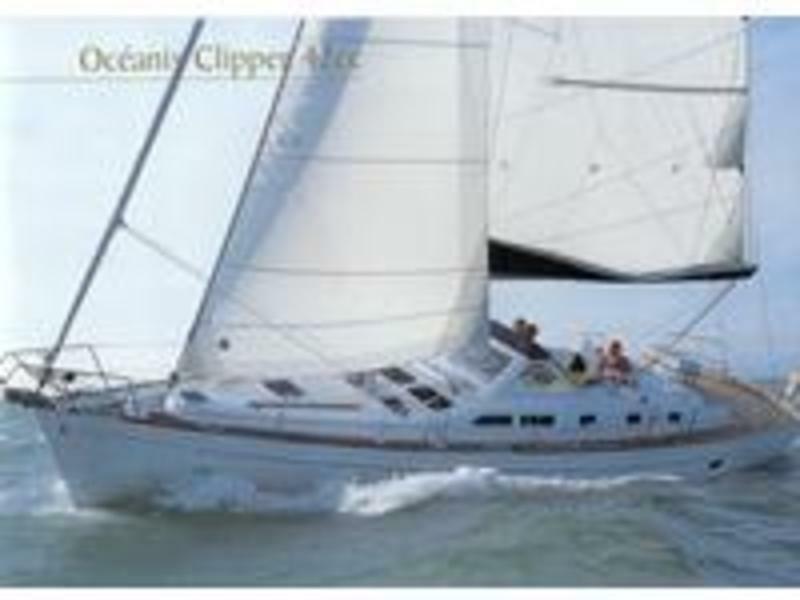 She will appeal to the traditional yachtsman with her striking classic lines, and the modern sailor with her performance and clean, simple layout. She is functional, practical, and represents excellent value in today’s market.